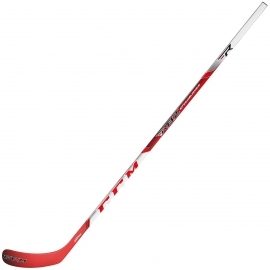 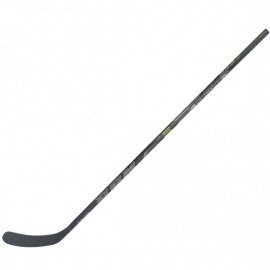 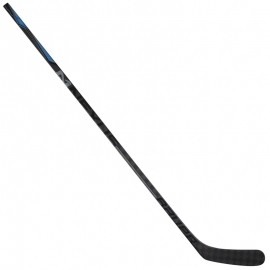 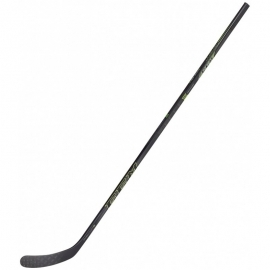 The CCM Super Tacks AS1 Stick is the lightest, most durable and most powerful stick in the Tacks' 5th generation. 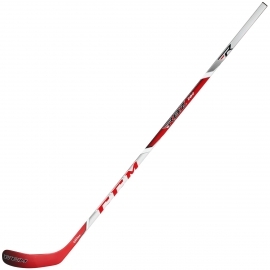 This was made possible with a new speared shaft construction, new X-Flow Technology and the redesigned Max Loading Mid-Kick Point. The new speared shaft provides a more direct feel for the puck and results in a stick that can shoot more efficiently too. 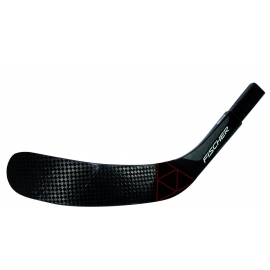 The X-Flow Technology reduces the amount of resin glue and is replaced with more of CCM's premium Sigmatex carbon fiber. 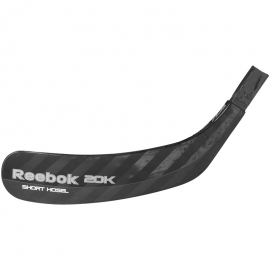 Aside from being one of the highest quality fibers on the market, this shift significantly improved durability through a better strength-to-weight ratio. This is important since it can better handle the aggressive and powerful Max Loading Mid-Kick Point. 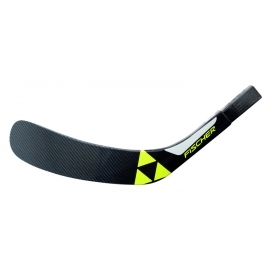 The CCM AS1 boasts a stiffer taper than the past so the stick can store more energy that can be utilized during devastating one-timers and slap shots. 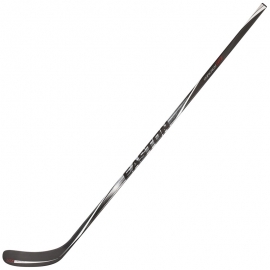 The extra stiffness in the hosel works with the ACU3 blade core to provide as much stability to the lower portion of the stick as possible. A big problem with the powerful shots mid-kicks provide is accuracy; the blade and hosel tend to twist which reduces accuracy. 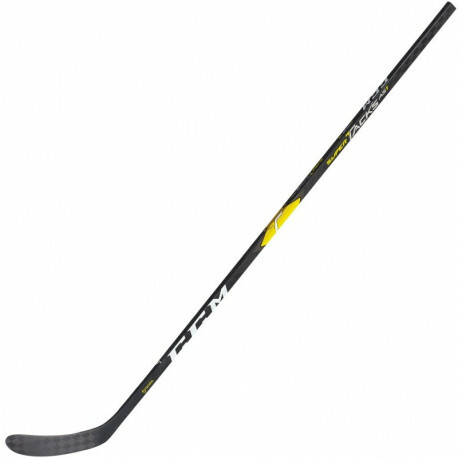 The Super Tacks AS1 and its extra stiff blade and hosel attack this issue directly and proudly provides one of the most accurate shots money can buy.